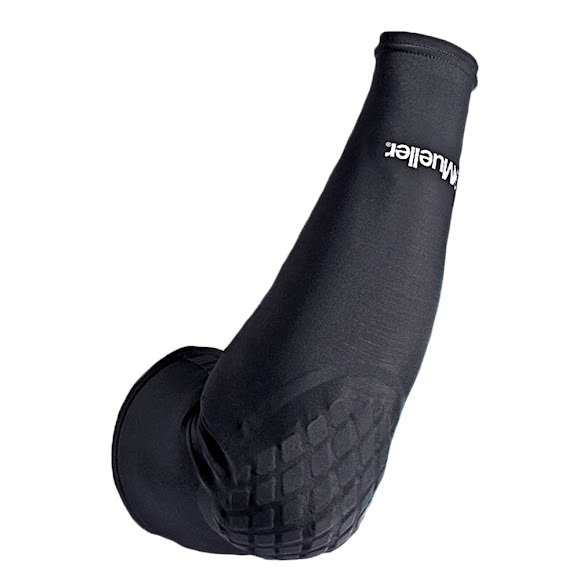 Mueller's Diamond Padded Elbow Sleeve protects your elbows from shocks and bumps during contact sports, while providing constant compression and soothing warmth. Lightweight and comfortable fabric is designed to stretch and contour for use and multi-purpose protection. Mueller &apos;s Diamond Padded Elbow Sleeve protects your elbows from shocks and bumps during contact sports, while providing constant compression and soothing warmth. Lightweight and comfortable fabric is designed to stretch and contour for use and multi-purpose protection.